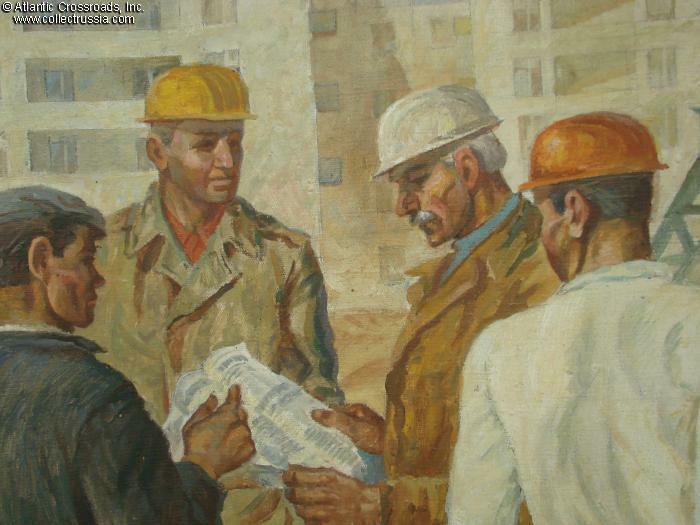 Construction Workers [our title, the real title unknown], painting in Socialist Realism style, oil on canvas, circa 1970s-80s. Fairly large 57" x 39" format. 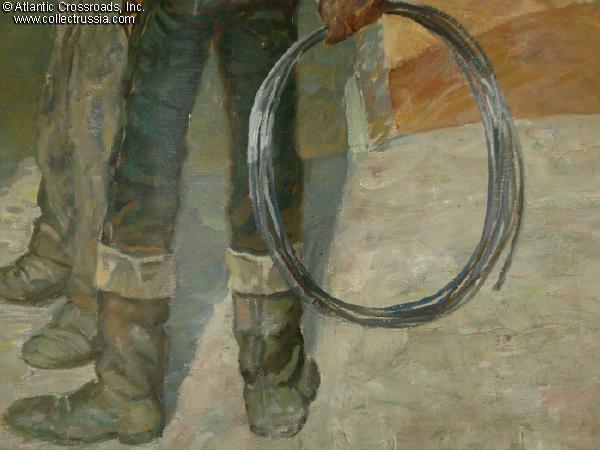 Even though the painting is unsigned, it's of very high quality and appears to be an original hand-painted piece by an unknown artist rather than a Soviet era reproduction. 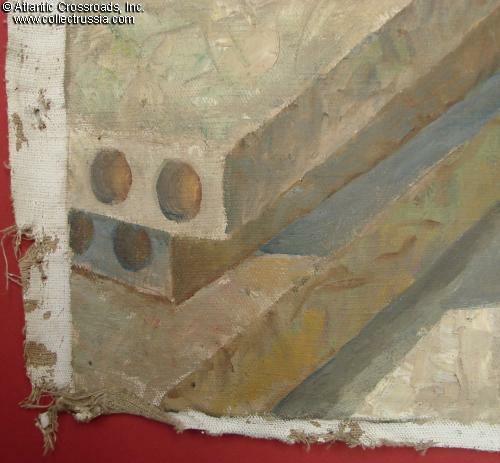 The artwork is very professionally executed in a typical, officially approved style of the period. 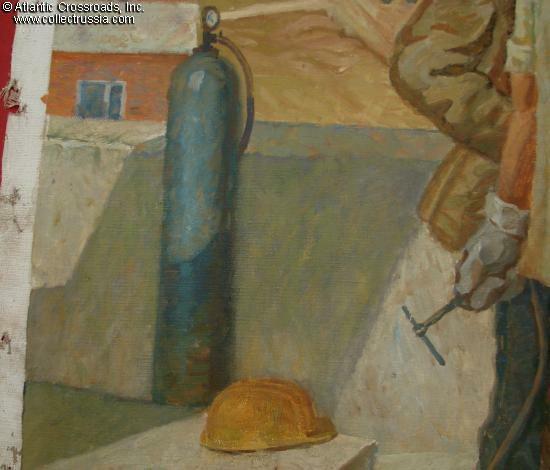 The images and poses of the workers are highly stylized and the composition has an almost cubist feel to it (something the artist would categorically deny). 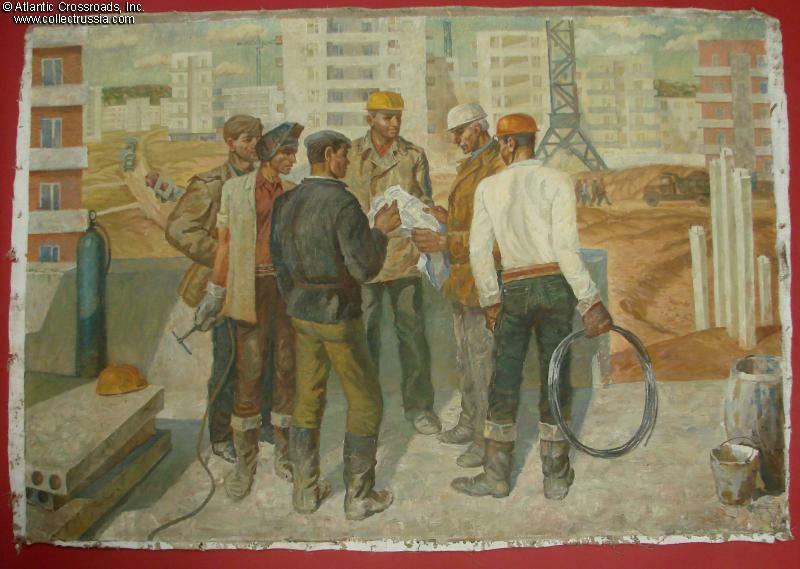 The non-descript, drab apartment buildings of panel construction are of course immediately recognizable to anyone who ever visited a residential district or mikrorayon of any large Soviet city. The painting conveys them as a sign of progress and clearly attempts to conduct a mood of youthful vigor and hope. In excellent condition. 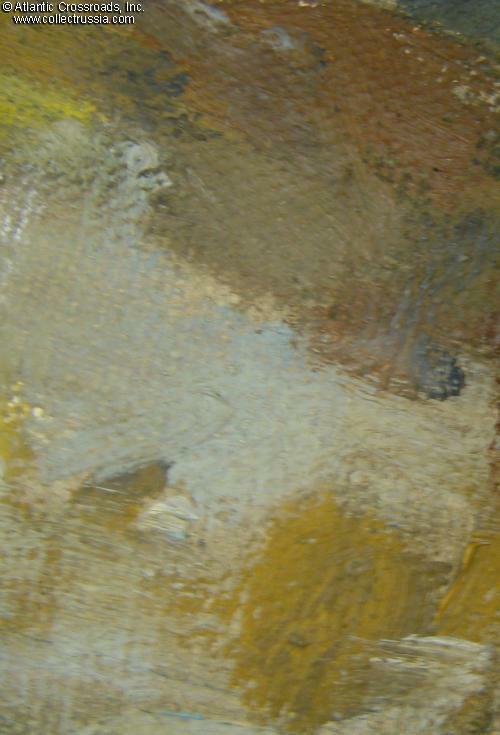 The paint is stable and without visible flaking anywhere. Please note, the painting will be stored and shipped rolled; postal restrictions and special shipping charges may apply for international buyers.